Les Mills sekretesspolicy på svenska. 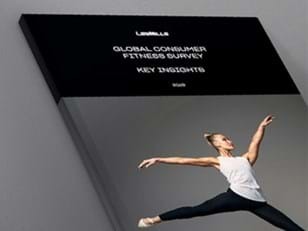 Les Mills is committed to protecting and respecting your privacy. Please read the following carefully to understand our practices regarding your personal information and how we will treat it. Les Mills International Limited is the data controller of personal information processed through your use of our website or app. The type of the personal information processed by us includes information that you provide when using our site or services, technical information about your device, settings and website use, information that we receive from third parties, such as other website providers, ad networks, social media companies and health and fitness clubs and, where applicable, information relating to your role as instructor. We use your data, amongst other things, to provide you with our site and services or information about our site and services, tailor our services to you, carry out analysis of our services, provide (or allow others to provide) targeted ads, comply with any legal or regulatory obligation and (if you are an instructor) assess your performance and provide information relating to your role. We may send you marketing materials relating to our services which you can opt out of at any time. We share data with our service providers and other third parties for the performance of our contractual obligations to you, to provide you with information, for the serving of advertising and (where relevant) run credit and background checks. You have a number of rights that you may exercise in relation to our use of your personal data, and you may exercise these by contacting us through the communication methods set out in the 'Your rights' section below. 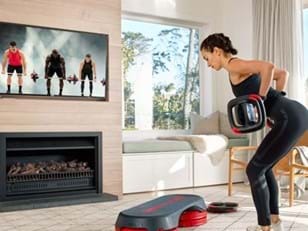 This website or our app (the “site”) is controlled by Les Mills International Limited (“we”, “us”, “our”) whose registered office is at 22 Centre Street, Auckland 1010, New Zealand. While our instructor and club portals are ultimately controlled by us, the day to day operation of these portals is carried out by the following Les Mills companies in your territory. Les Mills UK Fitness Limited operates the UK instructor and club portals, Les Mills United States Trading Inc., operates the US instructor and club portals and Les Mills Nordic AB operates the Nordic instructor and club portals. We, along with the relevant Les Mills Company in your territory (if you are using our instructor or club portals), are joint data controllers i.e., responsible for the processing of your personal information. The information you give us includes your name, address, date of birth, e-mail address and phone number, financial and credit card information, personal description and photographs, videos, images or comments. If you are an Instructor, we will collect additional information about you in relation to your role including details of the classes and clubs you are affiliated with, purchasing history, payment information, event/training attendance, certification information and hours worked. Information about your visit, including the full URL, clickstream to, through and from our site (including date and time), pages or products you viewed or searched for, page response times, download errors, length of visits to certain pages, page interaction information (such as scrolling, clicks, and mouse-overs), methods used to browse away from the page. Other Les Mills websites: We will receive information about you if you use any of the other websites operated by Les Mills Companies or the other services the Les Mills Companies provide. Third parties: We also work closely with third parties (including, for example, business partners, authorised distributors, health and/or fitness clubs or any other organization that Les Mills has licensed to conduct Les Mills programs (“Licensed Clubs”), sub-contractors in technical, payment and delivery services, advertising networks, analytics providers, advertisers, search information providers, credit reference agencies, third parties that enable sign-on functionality and social network integration) and will receive information about you from them. Social Media: If you connect with us via certain social media platforms, or you choose to use features on this site or the websites of other Les Mills Companies that connect to your online profiles or social media accounts (“Social Media Accounts”), we will collect any information that you permit through your settings on those Social Media Accounts. For example, if you log in to our site using your Facebook account and you have allowed Facebook to share your profile information with us, we may collect that information. Information we receive from your Social Media Accounts will include the email address, first and last name, location (hometown and country), gender, date of birth, likes, interests, number of connections, occupation, posts or other social activity. The information that your social media platform may provide to us via your Social Media Account may change from time to time. Please review your Social Media Account privacy settings to control what information is shared with us. Whenever possible, we anonymise the data so that it cannot be connected to any individual person. to allow you to share information on our site on third party social media platforms. to sign you up to Reebok One in order to be able to receive a 25% discount if you are a Les Mills instructor. We will combine information we receive from other sources with the information you give to us and information we collect about you. We will use this information and the combined information for the purposes set out above (depending on the types of information we receive). Analytics and search engine providers that assist us in the improvement and optimisation of our site. We want our site and advertising to be as relevant and interesting to you as it can be. With this in mind, we use all of the information we have about you to show you relevant ads, and in order to be able to optimize our site. We do not share information that personally identifies you (personally identifiable information is information like name or email address that can by itself be used to contact you or identifies who you are) with advertising, measurement or analytics partners unless you give us permission. We may provide these partners with information about the reach and effectiveness of their advertising without providing information that personally identifies you, or if we have aggregated the information so that it does not personally identify you. Where you have otherwise consented that we may do so. We (or Licensed Clubs) may give Instructors the option to share their personal information with Licensed Clubs via our club portal at https://sso.lesmills.com/login (“Club Portal”). Where Instructors agree to share their personal information via the Club Portal, Licensed Clubs will be able to access, process and use that personal information to: (i) facilitate and maintain the relationship between the Licensed Club and Instructor; (ii) purchase Les Mills releases on behalf of nominated Instructors; (iii) purchase event tickets on behalf of nominated Instructors; (iv) contact, or respond to contact requests by, Instructors who are seeking Licensed Clubs to be affiliated with; and (v) for other purposes as legally required or lawfully permitted from time to time. the management and monitoring of the performance of group fitness (including Instructor performance) at Licensed Clubs and analysing trends in group fitness performance in the fitness industry. If you are an Instructor, we will, based either on your explicit consent, or otherwise when we have the right to do so according to applicable personal data regulations, publish your name in newsletters and on our websites in relation to your role as an Instructor. Individuals (especially within the European Economic Area, or “EEA”) should be aware that we and other third party recipients of their personal information, such as the Les Mills Companies or our service providers will not be located within your jurisdiction or within the EEA. For instance, personal data may be transferred to New Zealand in connection with the purposes stated above. Steps will be taken to protect your personal information in that instance consistent with applicable law, for example entering into contractual clauses which mirror the EC-model clauses where personal data concerning EU citizens is shared with a party outside the EEA based in a country which is deemed not to have adequate data protection safeguards in place. All information you provide to us is stored on our secure servers or on the secure servers or secure services controlled by third parties on our behalf. Any payment transactions will be encrypted using SSL technology. Where we have given you (or where you have chosen) a password which enables you to access certain parts of our site, you are responsible for keeping this password confidential. We ask you not to share a password with anyone. We retain the personal information we collect only if we need it to support justifiable business requirements or when our lawful purposes for using the information requires retention. When we no longer require personal information we or our third party suppliers will securely delete and/or archive the information. For more information on where and how long your personal information is stored, and for more information on your rights of erasure and portability, please contact us at info@lesmills.com. To help protect the privacy of data and personally identifiable information you transmit through use of our site and portals, we maintain physical, technical and administrative safeguards. We update and test our security technology on an ongoing basis. We restrict access to your personal data to those employees who need to know that information to provide benefits or services to you. In addition, we train our employees about the importance of confidentiality and maintaining the privacy and security of your information. We commit to taking appropriate disciplinary measures to enforce our employees' privacy responsibilities. You may be able to log in to our site using social sign-in services such as Facebook Connect. These services will authenticate your identity and provide you the option to share certain personal information with us such as your name and email address to pre-populate our sign up form. Services like Facebook Connect give you the option to post information about your activities on this site to your profile page to share with others within your network. This site, our newsletters and other communications will from time to time contain links and/or banners that take you to other websites. We are not responsible for the reliability of the content or privacy practices of such other websites. We may provide you with chat features, instant messaging, message boards, community forums and/or news groups through the site or otherwise. Please remember that any information that you disclose in public areas of the site will become public information, and be accessible to the public. We do not intend (but reserve the right) to monitor, moderate or screen the contents of user postings. We bear no responsibility for any such content and you should be cautious when considering whether to disclose your personal information in the on the site through public or private forums. We do not knowingly collect information from children under the age of 16 and the site and any associated apps are not targeted to children under the age of 16. We encourage parents and guardians to take an active role in their children’s online activities and interests. You have the right to request access to certain personal data that we hold about you including any information we have shared to our Les Mills Companies or third parties and/or processors, subject to certain conditions and limited exceptions set out in relevant data privacy laws. If you wish to do so, please email your request to info@lesmills.com. We will be as open as we can with you but sometimes we might not hold any personal information about you or may have to withhold personal information from you. For example, where the information is not personal information about you, is commercially sensitive, is legally privileged, relates to the personal information of another person, or it may impact on the safety or security of our employees or customers to release it. In these circumstances, we will withhold the information but we'll tell you why. You must provide us with accurate information. If any of your details change, please inform us and we will update your personal information in line with our obligations under the relevant laws. You have the right to ask us not to use your personal information for marketing purposes. We will usually inform you (before collecting your data) if we intend to use your data for such purposes or if we intend to disclose your information to any third party for such purposes. You can exercise the right at any time by contacting us at info@lesmills.com or by using any other opt-out method that we provide in the communication, such as an 'unsubscribe' link in emails. lodge a complaint with the appropriate data protection authority if you have concerns about how we processes your personal data. If you wish to exercise any of the above rights, please your request to info@lesmills.com. Our address is 22 Centre Street, Auckland, New Zealand 1010. Strictly necessary cookies. These are cookies that are required for the operation of the site. They include, for example, cookies that enable you to log into secure areas of the site. Some pages of the site and our e-mails will contain small electronic files known as web beacons (also referred to as clear gifs, pixel tags, and single-pixel gifs) that typically work in conjunction with cookies to identify our users and user behaviour over time, for example, to count users who have visited certain web pages or opened an email and for other related website statistics (for example, recording the popularity of certain website content and verifying system and server integrity). http://www.aboutads.info/appchoices - please note that we're not responsible for the content of external websites. You can block cookies by activating the setting on your browser that allows you to refuse the setting of all or some cookies. However, if you use your browser settings to block all cookies (including essential cookies) you may not be able to access all or parts of the site. If you download an app to receive the services in respect of this site, we will also (where you agree that we may do so) collect geo-location data in relation to the device that you are using. Les Mills värnar skyddet för och respekten av din integritet. Det är med stöd av denna policy (tillsammans med våra webbplatsvillkor, inköpsvillkor och eventuella andra villkor som anges på vår hemsida från tid till annan och meddelas på annan del av hemsidan) som vi kommer att behandla de personuppgifter vi samlar in från dig eller som du lämnar till oss. Vänligen läs följande noggrant för att förstå vår praxis gällande behandlingen av dina personuppgifter och hur vi kommer att behandla dessa. Den här policyn kan förändras från tid till annan. Om den gör det kommer den senaste versionen att finnas tillgänglig på vår hemsida och i vår app. När det bedöms lämpligt kommer du att uppmärksammas på en sådan förändring. Denna integritetspolicy uppdaterades senast den 4 May 2018. Les Mills Nordic AB är personuppgiftsansvarig för personuppgifter som behandlas genom användning av vår hemsida eller app. De personuppgifter som vi behandlar inkluderar information som du lämnar när du använder vår hemsida eller våra tjänster, teknisk information om din enhet, inställningar och webbplatsanvändning, information som vi tar emot från tredje part, såsom andra webbplatsleverantörer, annonsnätverk, sociala medier och hälso- och fitnessklubbar, och om det är aktuellt, information om din roll som instruktör. Vi använder bl.a. dina uppgifter för att tillhandahålla dig vår webbplats och våra tjänster eller information om vår webbplats och våra tjänster, skräddarsy våra tjänster för dig, utföra analys av våra tjänster, tillhandahålla (eller tillåta andra att tillhandahålla) riktade annonser, följa lagstadgade eller regulatoriska skyldigheter och (om du är instruktör) utvärdera din prestation och ge information som relaterar till din roll som instruktör. Vi kan skicka marknadsföringsmaterial till dig som avser våra tjänster. Du kan välja bort det när som helst. Vi delar uppgifter med våra tjänsteleverantörer och andra tredje parter för utförandet av våra avtalsförpliktelser gentemot dig, för att förse dig med information, för visning av reklam och (i förekommande fall) köra kredit- och bakgrundskontroller. Du har ett antal rättigheter som du kan utöva i samband med vår användning av dina personuppgifter. Du kan utöva dessa rättigheter genom att kontakta oss via de kommunikationsmetoder som anges i avsnittet "Dina rättigheter" nedan. Denna webbplats och vår app (”sidorna”) drivs av Les Mills Nordic AB, Oxenstiernsgatan 15A, 115 27 Stockholm, Sverige (”vi", "oss", "vår"). Medan våra instruktörs- och klubbportaler slutligen styrs av oss utförs den dagliga driften av dessa portaler av följande Les Mills-företag inom ditt territorium. Les Mills UK Fitness Limited driver brittiska instruktörs och klubbportaler, Les Mills United States Trading Inc., driver amerikansk instruktör och klubbportaler och Les Mills Nordic AB driver de nordiska instruktörs och klubbportalerna. Vi, tillsammans med det relevanta Les Mills Company på ditt territorium (om du använder vår instruktör eller klubbportaler), är controllers, dvs ansvarig för behandlingen av din personliga information. I denna integritetspolicy avses med "Les Mills-företag" Les Mills International Limited samt alla dotterbolag och närstående företag som från tid till annan ägs av Les Mills International Limited (förutom oss). Om du vill ha en fullständig lista över alla etablissemang som omfattas av Les Mills-företag, vänligen kontakta oss på sätt som beskrivs under "Kontakt" nedan. Med ”Instruktör” avses en person som har rätt att instruera Les Mills program eller som har träffat ett instruktörsavtal med oss (”Instruktörsavtal”). du anmäler ett problem på våra sidor. Den information du ger oss innefattar ditt namn, din adress, ditt födelsedatum, din e-postadress och ditt telefonnummer, din finansiella- och kreditkortsinformation, din personliga beskrivning och dina fotografier, videor, bilder och kommentarer. Om du är en Instruktör kommer vi att samla in ytterligare information om dig hänförlig till din roll som Instruktör, inbegripet information om de klasser du undervisar i och de klubbar du är ansluten till, inköpshistoria, betalningsinformation, närvaro under evenemang/utbildning, certifieringsinformation och arbetade timmar. information om ditt besök, inklusive den fullständiga webbadressen, klick till, genom och från vår webbplats (inklusive datum och tid), sidor eller produkter som du tittade på eller sökte efter, svarstider, hämtningsfel, besökslängd på vissa sidor, information om interaktion på sidor (såsom scrollning, klick, och mouseovers), metoder som används för att bläddra bort från sidan. Information vi får från andra källor. Andra Les Mills-sidor: Vi kommer att ta emot information om dig om du använder någon av de andra webbplatser som drivs av Les Mills-företag eller andra tjänster som Les Millsföretag tillhandahåller. Tredje part: Vi samarbetar också nära med tredje part (inklusive, till exempel, affärspartners, auktoriserade återförsäljare, hälso- och/eller fitnessklubbar eller andra företag som har rätt att tillhandahålla Les Mills program (”Licensierade Klubbar”), underleverantörer inom tekniska, betalnings- och leveranstjänster, annonsnätverk, analysleverantörer, annonsörer, leverantörer av sökmotorer, kreditupplysningsföretag, tredje parter som gör det möjligt för s.k ”sign on-funktionalitet” och integration via sociala nätverk) och kommer att ta emot information om dig från dem. Social Media: Om du ansluter dig till oss via vissa sociala medier, eller om du väljer att använda funktioner på denna hemsida eller andra Les Mills-företags hemsidor som ansluter till dina online-profiler eller konton på sociala medier ("Social Media Konton"), kommer vi att samla alla uppgifter som du tillåter genom inställningarna på dessa Social Media Konton. Till exempel, om du loggar in på vår hemsida med ditt Facebook-konto och du har tillåtit Facebook att dela profilinformation med oss, kommer vi att samla in sådana uppgifter. Uppgifter vi får från dina Social Media Konton kan inkludera e-postadress, för- och efternamn, plats (hemstad och land), kön, födelsedatum, likes, intressen, antalet anslutningar, yrke, inlägg eller annan social verksamhet. Den information som din sociala medieplattform kan förse oss med via ditt Social Media Konton kan ändras från tid till annan. Vänligen granska dina Social Media Konton och dess sekretessinställningar för att kontrollera vilken information som delas med oss. Vi använder informationen om dig på följande sätt. När det är möjligt så anonymiserar vi data så att den inte kan kopplas till någon enskild person. • för att följa lagar och bestämmelser. möjliggöra för dig att dela information på vår webbplats och på tredje parts sociala medier. för att anmäla dig till Reebok One för att kunna få 25% rabatt om du är en Les Mills-instruktör. för att följa utvecklingen och antalet inlägg i tävlingar och kampanjer. Vi kommer att kombinera information som vi får från andra källor med information som du ger till oss och information som vi samlar in om dig. Vi kommer att använda denna information och den kombinerade informationen i de syften som anges ovan (beroende på vilken typ av information vi får). • Analytics och sökmotorleverantörer som hjälper oss att förbättra och optimera vår webbplats. Vi vill att vår webbplats och annonsering ska vara så relevant och intressant för dig som den kan vara. Med det i åtanke använder vi all information som vi har om dig för att visa relevanta annonser och för att kunna optimera våra sidor. Vi delar inte med oss av information som identifierar dig (det gäller information som namn eller e-postadress som i sig kan användas för att kontakta dig eller identifiera vem du är) genom annonsering, mätning eller analys, om du inte ger oss tillåtelse. Vi kan ge dessa parter information om deras annonserings räckvidd och effektivitet utan att ge dem information som personligen identifierar dig, eller om vi har sammanställt informationen så att den inte identifierar dig personligen. affärspartners, auktoriserade distributörer, leverantörer, tjänsteleverantörer, Les Mills licensierade klubbar och underleverantörer för att ge dig information om kampanjer och erbjudanden, eller för några av de andra ändamål som beskrivs i sektionen "Hur informationen kommer att användas" ovan. sociala medier eller andra liknande plattformar så att vi kan bistå med relevant innehåll till dig via den plattformen. Till exempel kan vi dela din e-postadress med Facebook så att vi kan inkludera dig i en anpassad målgrupp som vi (eller en tredje part för vår räkning) kommer att bistå information med till Facebook, eller så kan vi skapa en publik med andra Facebook-användare baserat på informationen i din Facebook-profil. kreditupplysningsföretag för att bedöma ditt kreditvärde när detta är en förutsättning för oss att ingå i ett avtal med dig. Om vi säljer eller köper företag eller tillgångar kommer vi att lämna ut dina personuppgifter till potentiella säljare eller köpare av sådant företag eller tillgångar. Om Les Mills-företag som kontrollerar denna webbplats eller huvudsakligen alla dess tillgångar förvärvas av tredje part, och de personuppgifter som innehas om kunderna är en av de överförda tillgångarna. Om vi är skyldiga att lämna ut eller dela dina personuppgifter i syfte att uppfylla någon juridisk förpliktelse, eller i syfte att upprätthålla eller tillämpa våra webbplatsvillkor, inköpsvillkor, och andra avtal, eller för att skydda rättigheter, egendom eller säkerhet av något Les Mills-företag, våra kunder eller andra. Detta omfattar utbyte av information med andra företag och organisationer i syfte att skydda mot bedrägerier och minska kreditrisken. Där du har annars har lämnat ditt samtycke till att vi får göra det. Vi (eller Licensierade Klubbar) kan ge Instruktörer möjlighet att dela med sig av sin personliga information med Licensierade Klubbar via vår klubbportal https://sso.lesmills.com/login (”Club Portal”). Om Instruktörerna samtycker till att dela med sig av sin personliga information via Club Portal, kommer Licensierade Klubbar kunna få tillgång till, bearbeta och använda personlig information för att: (i) underlätta och upprätthålla relationen mellan den Licensierade Klubben och instruktören; (ii) köpa Instruktör program kits (“Instruktör Releases”) på uppdrag av utsedda Instruktörer; (iii) köpa evenemangsbiljetter på uppdrag av utsedda Instruktörer; (iv) Kontakta, eller svara på, kontaktförfrågningar från Instruktörer som söker Licensierade Klubbar att ansluta sig till; och (v) för andra ändamål som krävs enligt lag eller lagligen är tillåtet från tid till annan. Om du är en Licensierad Klubb och du förser oss med personlig information om Instruktörerna (”Instruktörsinformation”), garanterar du härmed att du har alla nödvändiga samtycken enligt tillämplig lag att delge oss Instruktörsinformation samt att vi kan använda Instruktörsinformationen i enlighet med denna integritetspolicy. Du samtycket till att försvara och hålla oss skadelösa från och mot alla anspråk, kostnader, förluster, skulder och skador som uppstår på grund av vår användning av Instruktörsinformationen i enlighet med denna integritetspolicy. Ledning och övervakning av gruppträningar (inklusive Instruktörens agerande) vid Licensierade Klubbar och analys av trender och tendenser inom fitness-industrin. Vi kommer att, baserat på ditt uttryckliga medgivande eller på annat sätt när vi har rätt att göra det i enlighet med gällande personuppgiftslagstiftning, publicera ditt namn i nyhetsbrev och på våra webbplatser när det gäller din roll som instruktör. Individer (särskilt inom Europeiska ekonomiska samarbetsområdet, eller "EES") bör vara medvetna om att vi och andra tredjepartsmottagare av deras personuppgifter, såsom Les Mills-företag eller våra tjänsteleverantörer inte kommer att vara belägna inom din jurisdiktion eller inom EES. Personuppgifter kan, till exempel, komma att föras över till Nya Zeeland i anslutning till de syften som angetts ovan. Åtgärder kommer att vidtas för att skydda dina personuppgifter i överensstämmelse med gällande lag, till exempel genom att ingå avtal vars bestämmelser speglar de av EU framtagna standardavtalsklausulerna när personuppgifter avseende medborgare inom EU delas med en part utanför EES som är baserad i ett land som inte anses ha tillräckligt skydd för personuppgifter. All information du lämnar till oss lagras på våra säkra servrar eller på säkra servrar eller säkra tjänster som kontrolleras av tredje part för vår räkning. Eventuella betaltransaktioner kommer att krypteras med hjälp av SSL-teknik. Där vi har gett dig (eller där du har valt) ett lösenord som ger dig tillgång till vissa delar av vår webbplats så är du ansvarig för att hålla detta lösenord hemligt. Vi ber dig att inte dela lösenordet med någon. Tyvärr är överföring av information via Internet inte helt säkert. Även om vi gör vårt bästa för att skydda dina personuppgifter så kan vi inte garantera säkerheten för din data som överförs till vår webbplats; överföring sker på egen risk. När vi har fått dina uppgifter kommer vi att använda strikta rutiner och säkerhetsfunktioner för att försöka förhindra obehörig åtkomst. Vi lagrar bara personuppgifter som vi samlat in om det behövs av motiverade affärsmässiga överväganden eller när våra lagliga syften för användning av uppgifterna kräver lagring. När vi inte längre behöver personuppgifterna kommer vi eller våra leverantörer att på ett säkert sätt radera och/eller arkivera informationen. Kontakta oss på info.nordic@lesmills.com för mer information om var och hur länge sina personuppgifter lagras och för mer information om dina rättigheter när det gäller radering och portabilitet. För att skydda personuppgifterna och personligt identifierbar information som du överför genom användningen av våra sidor så har vi vidtagit fysiska, tekniska och administrativa skyddsåtgärder. Vi uppdaterar och testar kontinuerligt vår säkerhetsteknik. Vi begränsar tillgången till dina personuppgifter till de anställda som behöver ha informationen för att kunna tillhandahålla erbjudanden om förmåner eller tjänster till dig. Dessutom utbildar vi våra anställda i vikten av sekretess och att upprätthålla integritet och säkerhet. Vi förbinder oss att vidta lämpliga disciplinära åtgärder för att upprätthålla våra anställdas integritetsansvar. Du kan logga in på vår hemsida med hjälp av inloggningstjänster såsom Facebook Connect. Dessa tjänster kommer att verifiera din identitet och ger dig möjlighet att dela vissa personuppgifter med oss såsom namn och e-postadress för att i förväg fylla inloggningsformuläret. Tjänster som Facebook Connect ger dig möjlighet att publicera information om dina aktiviteter på denna webbplats på din profilsida för att dela det med andra inom nätverket. Denna hemsida, våra nyhetsbrev och annan kommunikation kommer från tid till annan att innehålla länkar och/eller banners som tar dig till andra webbplatser. Vi är inte ansvariga för tillförlitligheten av innehållet eller integritetspraxis på sådana andra hemsidor. Vår hemsida kan även innehålla sociala media-funktioner, till exempel Facebooks like-knapp. Dessa funktioner kommer att samla in din IP-adress, vilken sida du besöker på vår hemsida, och kommer att lämna en cookie för att möjligöra det för funktionen att fungera korrekt. Värden för sociala media-funktionerna är antingen en tredje part eller vår webbplats. Din interaktion med dessa funktioner skyddas även av den integritetspolicy som tillhör det företag som tillhandahåller den. Vi kan förse dig med chattfunktioner, snabbmeddelanden, anslagstavlor, diskussionsforum och/eller nyhetsgrupper genom webbplatsen eller på annat sätt. Kom ihåg att all information som du lämnar i allmänna utrymmen på webbplatsen blir offentlig information och kommer att vara tillgänglig för allmänheten. Vi avser inte (men förbehåller oss rätten) att övervaka, moderera och screena innehållet i användarnas inlägg. Vi bär inget ansvar för sådant innehåll och du bör vara försiktig när du överväger att lämna ut dina personuppgifter på hemsidan via offentliga eller privata forum. Vi samlar inte medvetet in information från barn under 16 års ålder och varken hemsidan eller andra tillhörande appar är riktade till barn under 16 år. Vi uppmuntrar föräldrar och vårdnadshavare att bevara en aktiv roll i sina barns intressen och aktiviteter online. Du har rätt att begära att få tillgång till vissa personuppgifter som vi har om dig, inklusive all information som vi har delat med Les Mills-företag eller en tredje part och/eller våra personuppgiftsbiträden, under vissa villkor och med vissa begränsade undantag som anges i relevanta personuppgiftslagar. Om så önskas, maila din förfrågan till info@lesmills.com. Vi kommer att vara så öppna som vi kan med dig men ibland har vi kanske inte några personuppgifter om dig eller så måste vi kanske hemlighålla information från dig. Till exempel om informationen inte utgör dina personuppgifter, är kommersiellt känslig, är juridiskt privilegierad, avser någon annans personuppgifter, eller om det kan påverka våra anställdas eller kunders säkerhet om vi skulle släppa informationen. Under dessa omständigheter kommer vi att hemlighålla informationen. Vi kommer i så fall att förklara varför. Du måste förse oss med korrekt information. Om någon av dina uppgifter ändras, vänligen meddela oss så uppdaterar vi dina personuppgifter i enlighet med våra skyldigheter i aktuella regelverk. Du har rätt att be oss att inte använda dina personuppgifter i marknadsföringssyfte. Vi brukar informera dig (innan vi samlar in din data) om vi har för avsikt att använda dina uppgifter för sådana ändamål eller om vi har för avsikt att lämna ut din information till tredje part för dessa ändamål. Du kan utöva rätten genom att när som helst genom att kontakta oss påinfo@lesmills.com eller genom att använda någon annan opt-out-metod som vi tillhandahåller i vår kommunikation, såsom till exempel att använda länken för avregistrering i e-mail. att lämna in ett klagomål till lämplig dataskyddsmyndighet om du känner oro över hur vi behandlar dina personuppgifter. Var vänlig och skicka din begäran till info@lesmills.comom du vill utöva någon av ovanstående rättigheter. Alla förändringar vi gör i vår integritetspolicy i framtiden kommer att publiceras på denna sida och meddelas dig via e-post. Vänligen återvänd ofta för att ta del av eventuella uppdateringar eller förändringar i vår integritetspolicy. Frågor, kommentarer och förfrågningar angående denna integritetspolicy är välkomna och bör ställas till info@lesmills.com. Vår adress är Oxenstiernsgatan 15A, 115 27 Stockholm, Sverige. Webbplatsen använder cookies för att skilja dig från andra användare. Detta hjälper oss att ge dig en bra upplevelse när du surfar på sidan och tillåter oss också att förbättra hemsidan. En cookie är en liten fil med bokstäver och siffror som vi lagrar i din webbläsare eller på hårddisken i datorn. Cookies innehåller information som överförs till datorns hårddisk. Strikt nödvändiga cookies. Dessa är cookies som krävs för driften av webbplatsen. De omfattar till exempel cookies som gör att du kan logga in på säkra delar av webbplatsen. Analytiska-/prestandacookies. De tillåter oss att känna igen och räkna antalet besökare och se hur besökarna rör sig på webbplatsen när de använder den. Detta hjälper oss att förbättra det sätt på vilket hemsidan fungerar, till exempel genom att se till att användarna enkelt kan hitta vad de letar efter. Cookies för ökad funktionalitet. Dessa används för att känna igen dig när du återvänder till webbplatsen. Detta gör det möjligt för oss att anpassa vårt innehåll för dig, välkomna genom användning av ditt namn och komma ihåg dina preferenser (till exempel språkval eller region). Inriktade cookies. Dessa cookies registrerar ditt besök på webbplatsen, vilka sidor du har besökt och de länkar som du har följt. Vi kommer att använda denna information för att göra webbplatsen och den reklam som visas på den mer relevant för dina intressen. Vi delar också denna information med tredje part för detta ändamål. Vissa sidor på webbplatsen och våra e-postmeddelanden innehåller små elektroniska filer som kallas webbsignaler (även kallad ”clear gifs”, pixeltaggar och ”single-pixel gifs”) som normalt arbetar i samband med cookies för att identifiera våra användare och användarbeteende över tid, till exempel för att räkna antalet användare som har besökt vissa hemsidor eller öppnat e-post och för annan relaterad webbplatsstatistik (till exempel registrering av populariteten av visst webbplatsinnehåll och kontrollera system- och serverintegritet). Observera att tredje part (inklusive till exempel annonsnätverk och leverantörer av externa tjänster som webbtrafik) även använder cookies på vår hemsida som vi inte har någon kontroll över. Dessa cookies kommer sannolikt att vara analytiska-/prestandacookies eller inriktade cookies. Annonsnätverk i synnerhet samlar in information om dina online-aktiviteter över tid och mellan olika webbplatser och använder denna information för att tillhandahålla intressebaserad reklam eller annat riktat innehåll. Om du vill välja bort intressebaserad annonsering, gå till Network Advertising Initiative’s hemsida här - https://www.networkadvertising.org/choices/ eller EDAA opt-out programmet här – http://www.youronlinechoices.eu observera att vi inte är ansvariga för innehållet på externa webbplatser. Du kan blockera cookies genom att aktivera inställningen på din webbläsare som gör att du kan vägra ta emot alla eller vissa cookies. Men om du använder webbläsarens inställningar för att blockera alla cookies (inklusive viktiga cookies) kan det hända att du inte kommer åt alla delar av hemsidan. Om du laddar ner en app för att ta emot tjänster för denna sida kommer vi också (där du samtycker till att vi får göra det) samla geo-lokaliseringsuppgifter i förhållande till den enhet som du använder. Även om webbläsaren också kan tillåta dig att skicka en "spåra inte"-signal när du besöker vår hemsida så ändrar vi inte våra rutiner till följd av signalen. Under alla omständigheter kommer vi att fortsätta följa denna integritetspolicy. Vid motstridigheter mellan den engelska versionen av denna integritetspolicy och den svenska versionen, ska den engelska versionen ha företräde (såvida inte din personliga information samlades in från dig i Sverige, i vilket fall den svenska versionen ska ha företräde).